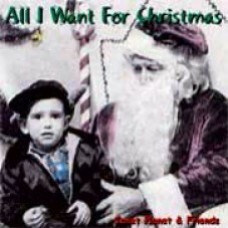 ALL I WANT FOR CHRISTMAS: A Holiday favorite of fans throughout the years. Originally released on cassette, re-mastered on cd. Cuddle up to songs like: "Hymn to the Russian Earth", "Four (the Holidays)" "The Night Before Christmas" and "Away In A Manger" also a bonus track of "America The Beautiful". O.k., it's not Johnny Mathis......but it's all you'll want for Christmas.